We have all experienced and enjoyed creating a painting with our fingerprints as children. Kids gets so excited when you give them the opportunity to get their hands dirty, completely cover them with paint and produce art. Well why not put a spin on it and instead offer them to paint with their toes? The Bee Yoga Fusion YogaKids created absolutely stunning artwork by painting with their feet. At first they were hesitant, dipping only a big toe in or a heel and then they took the plunge and covered their entire foot in paint. It was a lot of fun! 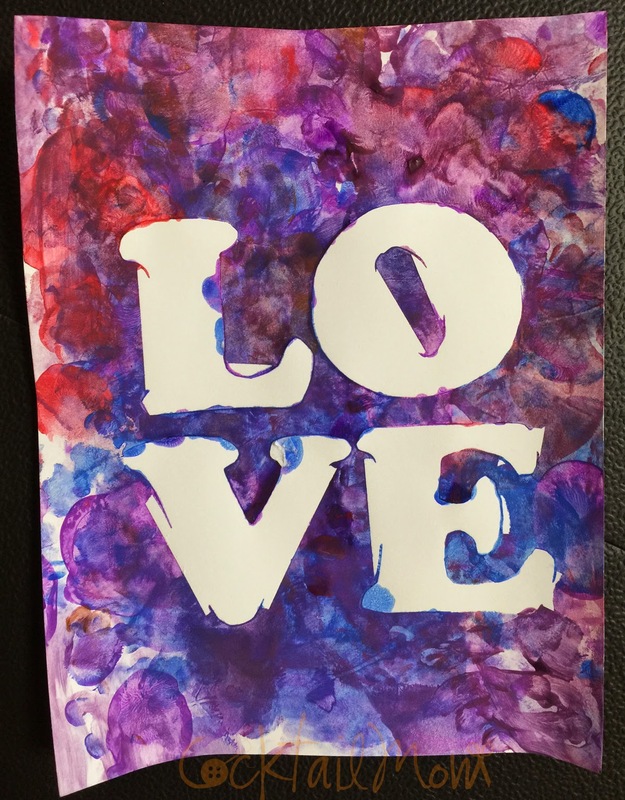 First I printed the words LOVE on card stock, here is a PDF for you to print and cut. I prepped the activity by cutting out each of their letters first but if you have older kids try having them do it themselves. I taped the letters to look similar to the LOVE statue in Philadelphia, PA on white card stock using washi craft tape so that it wouldn't ruin the paper when I peeled the letters off later. We used tempura paint but any craft paint will also work well. Once the entire paper is covered in foot prints, set it aside to dry. Once the painting is dry you can slowly peel off each letter to reveal the word LOVE in white. This would make a great Valentine's gift! And is a great craft for kids in kindergarten through fourth grade.